Diversified is a truly unique medical device and technology solutions provider. Its core competency in technology integration and knowledge of the medical facility space is unprecedented when compared to traditional medical technology companies. 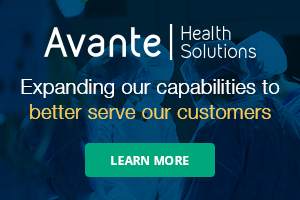 Its expansive capabilities provide its hospital partners with the ability to partner with one company to drive standardization initiatives across the enterprise, create new and innovative immersive and experiential areas for patients and family while ensuring their investments are fully leveraged and utilized. The Diversified Medical Innovation Group was founded in September of 2016. The first year focused on infrastructure investments to build a team of medical device subject matter experts with extensive experience in product development, medical device sales and service, regulatory, OR and interventional procedure suite integration. Year one also included the launch of its quality management system framework. The results are a reflection of attention to detail and the knowledge and desire to build a strong foundation to build upon as the company grows. 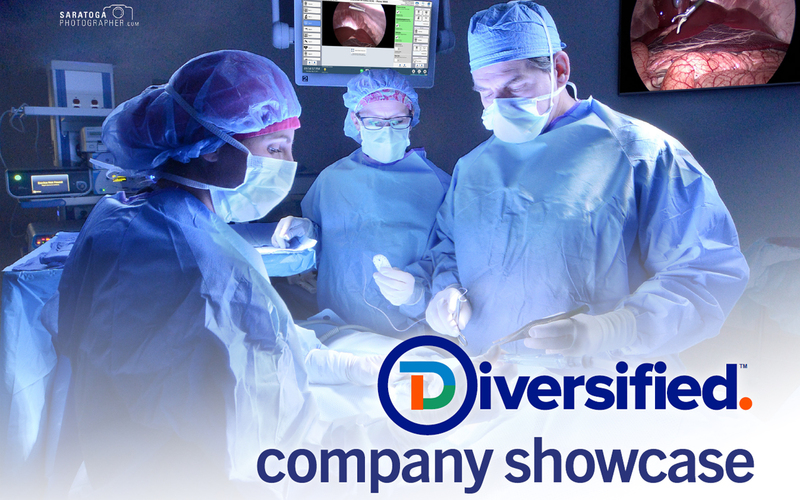 “Our success is the direct result of Diversified’s commitment to investing in a team of OR and interventional procedure suite integration subject matter experts and our team’s daily focus on ensuring true vendor-neutral, vintage-agnostic integration,” Plaugher shared. Recognizing the broad array of technology solutions Diversified provides health care facilities, its executive leadership team created a division focused exclusively on the medical market. The Diversified Medical Innovation Group has a laser focus when it comes to the latest advances in technology and how to equip customers with solutions. Integration is not new, but is becoming more important on an almost daily basis throughout health care. Solutions that generate increased patient satisfaction, improved patient care and additional cost savings stand out. The Medical Innovation Group delivers solutions that help hospital partners reduce capital equipment costs, improve care provider team efficiency and increase focus on patient care. When CORIS® family products are combined, the IP-based architecture provides the ability to scale and distribute content to all care team providers, regardless of physical location. “Our mission is to leverage our medical team’s expert knowledge of the market with Diversified’s access to best-of-breed technology and core competencies in technology integration, to create and deliver solutions that provide health care professionals and institutions with clinical integration solutions and workflow optimization tools that complement their existing assets and infrastructure, while providing interoperability with new and emerging technologies,” Plaugher added.